What is the future of academic publishing? We’re celebrating University Press Week (8-14 November 2015) and Academic Book Week (9-16 November) with a series of blog posts on scholarly publishing from staff and partner presses. 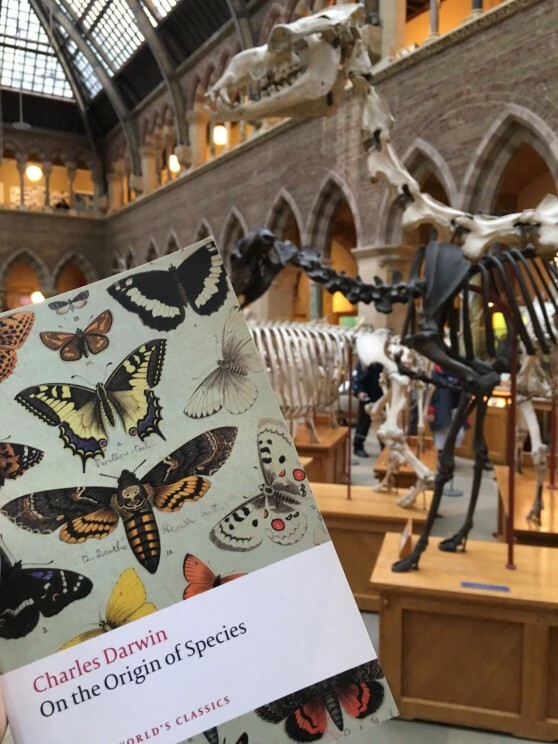 Today, we are exploring the impact of Charles Darwin’s On the Origin of Species, which was recently voted as the most influential academic book in history. Charles Darwin was widely known as a travel writer and natural historian in the twenty years before On the Origin of Species appeared in 1859. The Voyage of the Beagle was a great popular success in the 1830s. But the radical theories developed in the Origin had been developed more or less in secret during those intervening twenty years. An extraordinary range of investigation and hard thinking lay behind the new book though it was written in a rush of just thirteen months. And it was written for any intelligent educated person to read, in an open non-mathematical language. So from the start it challenged wider society to re-think the history of the world and all species. It required human beings to understand that we are one among many in the ‘great family’ of living and once-living things: plants, insects, animals, birds, fishes, and behind them all, minerals and rocks with their traces of past life. The book presented all this while barely mentioning humankind. ‘On the Origin of Species’ at the Oxford University Museum of Natural History. Photo by Dan Parker. Darwin thought he was being ‘diplomatic’ but leaving out any discussion of ‘mankind’ undermined all the assumptions that we are separate and chosen. Instead we become just one among an array of life-forms all of which interconnect and depend on each other. His is not a theory only of competition, though the struggle to survive often involves a struggle for scarce resources or mates. He saw also how intricately all the elements in an environment function together and he was at the source of our present ecological investigations. Darwin wrote for his scientific peers but he wrote for a general public too. The Origin was never solely an ‘academic’ work. And his readers have taken away from it quite different, and often contradictory, stories about the rise or the fall of mankind, about the ‘survival of the fittest’ or the need for collaboration, about diversity and selection. That ability to generate broad understandings of life underpins the work’s revolutionary success. Over time it has been read by different political groups as authenticating their theories: socialists, anarchists, fascists, have all claimed its support. 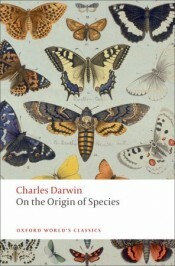 Darwin himself eschewed any political readings and saw his work as purely natural history. Over time, too, scientists in quite different domains have worked with and tested his ideas to their utmost. Even though Darwin worked before genetics, geneticists have found in the Origin a founding text for their work. How Darwin would have delighted in the human genome project! And how essential his evolutionary theory with its emphasis on natural selection has proved to be to later researchers! His careful, enthusiastic, rich account of a lifetime’s accumulated evidence resolved into ‘one long argument’ and has given abundant materials for later generations to think with. It has placed human history in among the longer and more diversified histories of all other species and it has offered a compelling means of understanding how, as Darwin put it, ‘We are all netted together’. The Origin’s arguments still provoke and refresh and look set to travel long into the future. Featured image credit: Turtle reading On the Origin of Species. Photo by Dan Parker for Oxford University Press. Dame Gillian Beer was President of Clare Hall, University of Cambridge, from 1994 to 2001. She was also King Edward VII Professor of English Literature at Cambridge during this time. As well as editing the Oxford World’s Classics edition of Darwin’s On The Origin of Species, she also wrote Darwin's Plots (1983) and important collections of essays on Virginia Woolf (The Common Ground, 1996).